Ever since I saw Jeff Bridges in The Big Lebowski drinking white Russians like it was going out of fashion I was hooked on this cocktail. Was it because I wanted to be a cool as “the dude” in that film? Probably… yes. 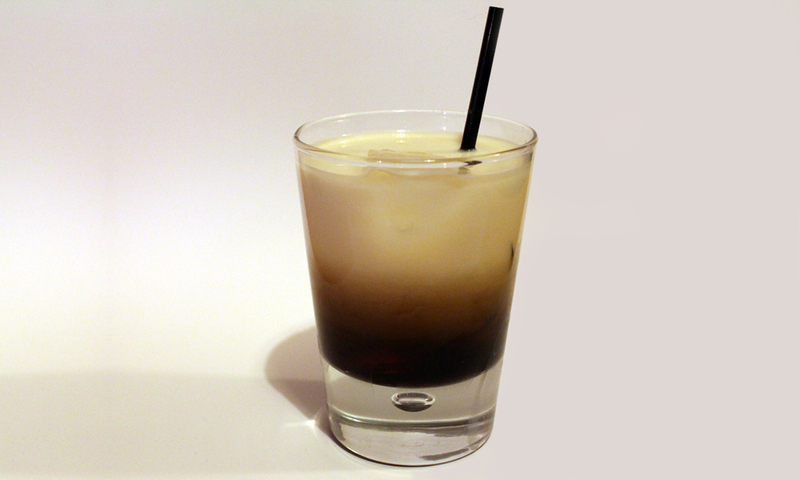 This is a version of a White Russian using toffee vodka. I use Kin vodka which is from a local Lake District producer, which is absolutely fantastic and works well with this cocktail. Put about 3-5 ice cubes in a glass tumbler, pour over the Kalhua and then the toffee vodka. Slowly and gently pour in the milk, the milk should sit on top of the alcohol. Try pouring directly onto the ice cubes as it will help with the layering. Note this is just for a better looking cocktail and should be stirred before being drunk. Serve with a straw.